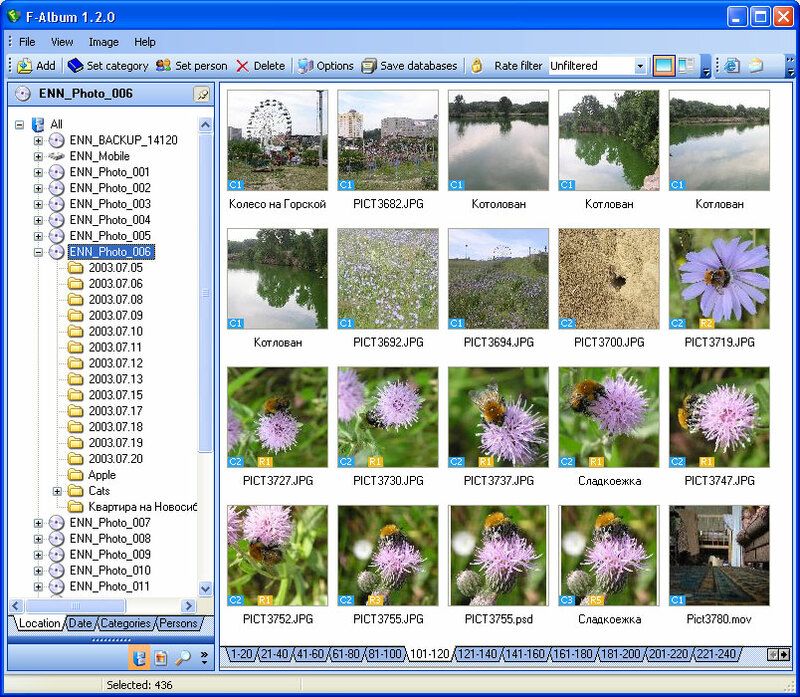 F-Album is intended for cataloging digital photos and other images stored on your hard disk, as well as on other information-carrying devices (CD, DVD, etc). In other words, it does not really matter where you keep your images? F-Album will allow you to always have a full catalog of your images close at hand. The key feature of F-Album is its ability to store in its database, along with thumbnails, samples of images as well. ...... A user can set size and quality of stored samples, which affects the speed of adding images and the database size. Qweas is providing links to F-Album 1.8.0 as a courtesy, and makes no representations regarding F-Album or any other applications or any information related thereto. Any questions, complaints or claims regarding this application F-Album 1.8.0 must be directed to the appropriate software vendor. You may click the publisher link of F-Album on the top of this page to get more details about the vendor.